Pamela Todd is a practicing yoga therapist in Saint Louis, Missouri, where she also teaches several ongoing weekly yoga classes. In her first career she received a bachelor's degree in interior design from the University of Missouri, Columbia and worked in the field for thirty-five years. Weary of the egocentric nature of design, Pamela wants her second career in yoga therapy to be focused on giving back and helping others to thrive. She dedicates herself to this every day. Initially Pamela thought her focal yoga therapy clients would be similar to herself, “baby boomers” and in particular those with chronic pain and bone loss, two things with which she has first-hand experience. She certainly has treated these conditions in clients, but also has developed a diverse clientele, ages 14 to 80, presenting with Tourettes syndrome, post-traumatic stress syndrome, cancer, Down syndrome and many other ailments and conditions. To keep pace with this broad range of need, Pamela continues to research and receive education, with the idea of treating the whole person (not just their symptoms) as a primary approach. 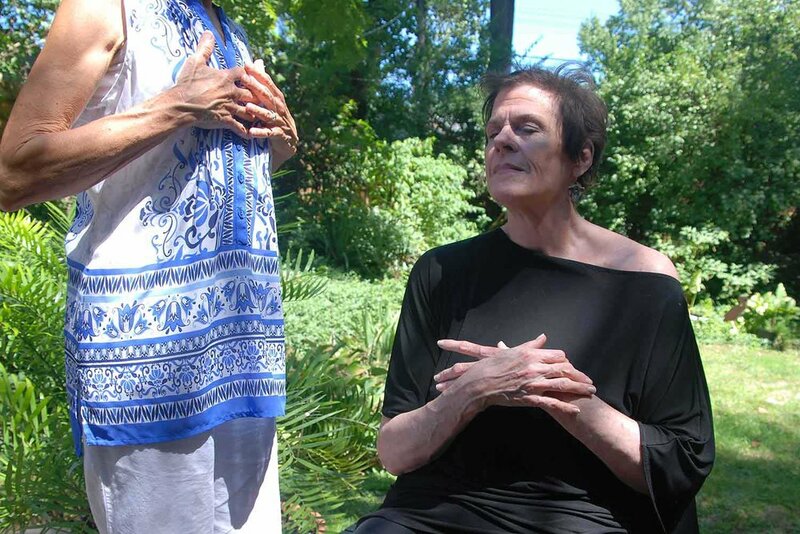 Pamela received her 200 hour yoga teacher training in St. Louis with YogaSource in 2011. Her 500 hour yoga therapy training was the Inner Peace program at the ashram in Mount Madonna, California completed in 2013. In this program Pamela learned from yoga therapists with many areas of expertise: Amy Weintraub (yoga for depression), Nischala Joy Devi (yoga for heart health), Durga (yoga of recovery), Antonio Sausys (yoga for grief), Maria Mendola (Functional Yoga Therapy and anatomy), Neil Pearson (Life is Now Pain Care), Mark Halpern (ayurvedic principles) and Karen Solstes (iRest Yoga Nidra). Subsequent trainings have included three mentorships in anatomy, chronic pain and cancer. 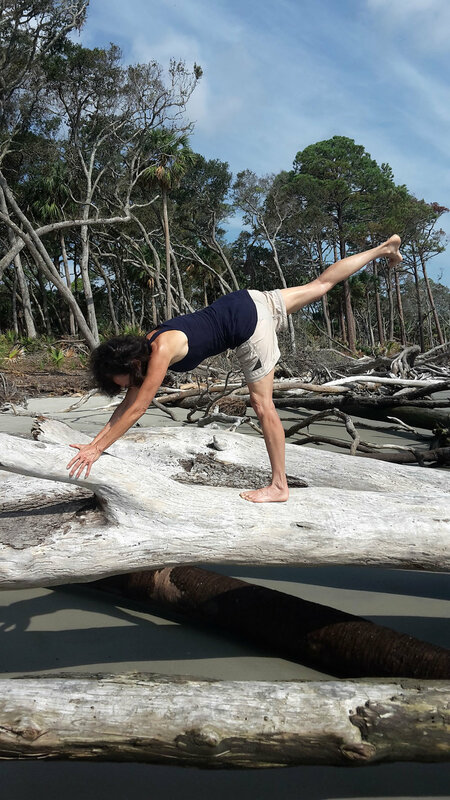 Pamela also is a graduate of the Advanced Assessment and Treatment Program offered by Functional Yoga Therapy. Pamela received her international yoga therapy certification from the International Association of Yoga Therapy (IAYT) in 2017. She is dedicated to ongoing training and is a regular participant at IAYT symposiums. Certified as a yoga therapist by the IAYT, Pamela endorse this organization’s definition of Yoga Therapy: “The process of empowering individuals to progress toward improved health and well-being through the application of the teachings and practices of yoga.” Yoga has been practiced for several thousand years, but the health benefits are just now being more recognized in the western world. For more information, see the link to the IAYT website. As part of a holistic approach, Yoga Therapy seeks to unite body, mind and spirit giving each of us the tools to help ourselves heal, including controlled breath work, body postures, mental affirmations and relaxation/meditative techniques. Better posture can be achieved with wall alignments. Yoga therapy is not affiliated with any religion. It does not require athleticism and can be a vital part of a medical team therapeutic approach. Treatments are usually more effective when done in your home, at your schedule and pace, which adds to the affordability and comfort-level of yoga therapy. A client in yoga nidra, guided relaxation. The review above is an excerpt from the end of the client’s review. To read this client’s full review, click the button below. Pamela quickly got to the reasons for my pain. She was compassionate but at the same time pointed about my therapy. I have cancer. The cancer never hurt but the surgery and medicine changed me. Pamela used my previous experiences with yoga and developed a specific yoga practice for me that turned me up and made all the difference. I am a war veteran too (and other bad experiences) and Pam helped me understand how my body stores the reactions in a certain part, and how it accumulates over the years to drag me down physically and mentally. I felt every session with her as though she was trying every minute to reach and help me. Over time, I trusted her with more of my secrets. She remained composed even though sometime my words were shocking. To learn more about these client’s stories, visit the link below.